You can’t have a decent salad without a good helping of fresh, crisp, and flavorsome lettuce – at least not in my book, and if you buy your lettuce from the supermarket you are likely to be disappointed. Cold stored and packed in a special atmospheric environment – any flavor and healthy goodness would have disappeared days before you open the packet! So what’s the answer? Grow some in your garden from seed. It couldn't be easier as lettuce seed will actually germinate on a piece of damp paper towel! Be that as it may, growing lettuce outside involves a bit more work but you will be pleased to know that it is still very easy. Just follow the pointers set up below. 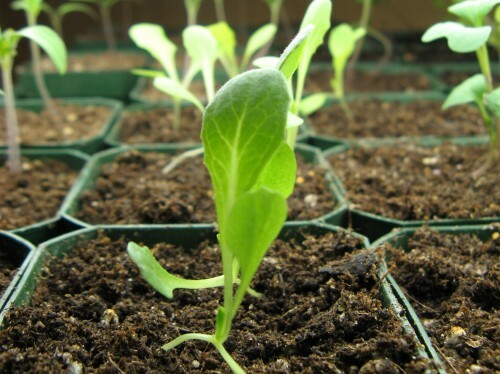 To begin with, lettuce seeds can be planted directly outside. They just need a free draining, humus rich soil that will hold plenty of moisture in the summer. To prevent the common physiological disorder of 'Tip burn' that can be experienced with some soils, you may wish to add some lime before planting. Preparation to sowing lettuce seeds can begin as early as autumn or early winter by digging over the soil and adding plenty of organic compost (such as leaf mold or well rotted manure). Then a week or so before sowing your lettuce seed, rake the soil over to produce a fine tilth. You may also wish to apply a general fertilizer at this time. Although Lettuce plants like plenty of light they do not like extremes of heat as this can also result in the physiological disorder 'Tip burn'. 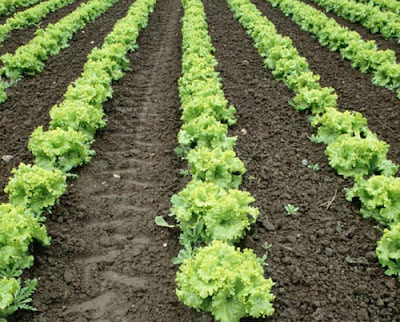 Although any lettuce seeds sown early should be fine it's advisable to plant your summer harvest in a lightly shaded site. When sowing spring lettuce seeds outdoors, it is best to wait until the worst of the frosts are over. Choose a sheltered sunny site but by sowing lettuce seed this early you may need to give them the protection of a small poly-tunnel. 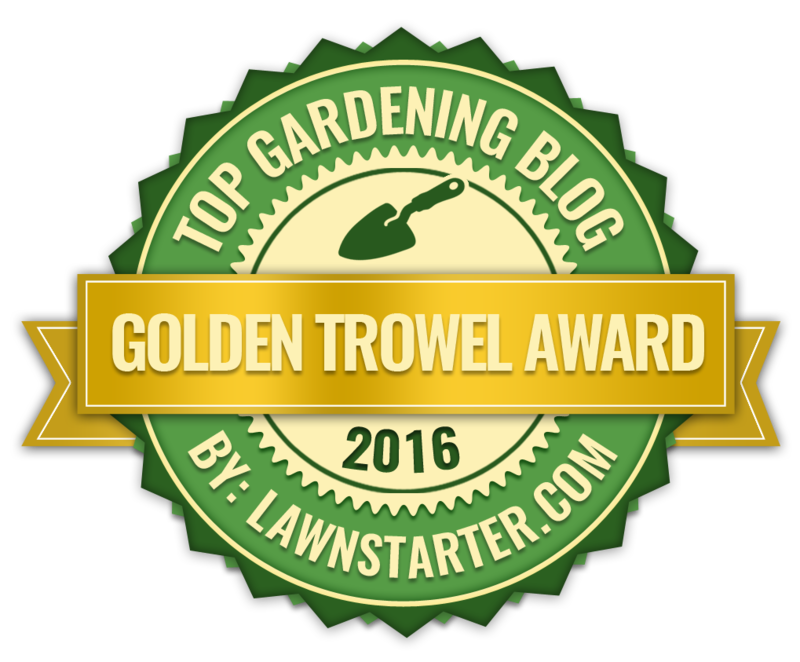 If you are starting them off into seed beds, sow the seeds very thinly in ½ inch deep drills but leave about 6 inches between each row. If you are sowing them directly into the open ground then leave between 10 and 12 inches between rows. 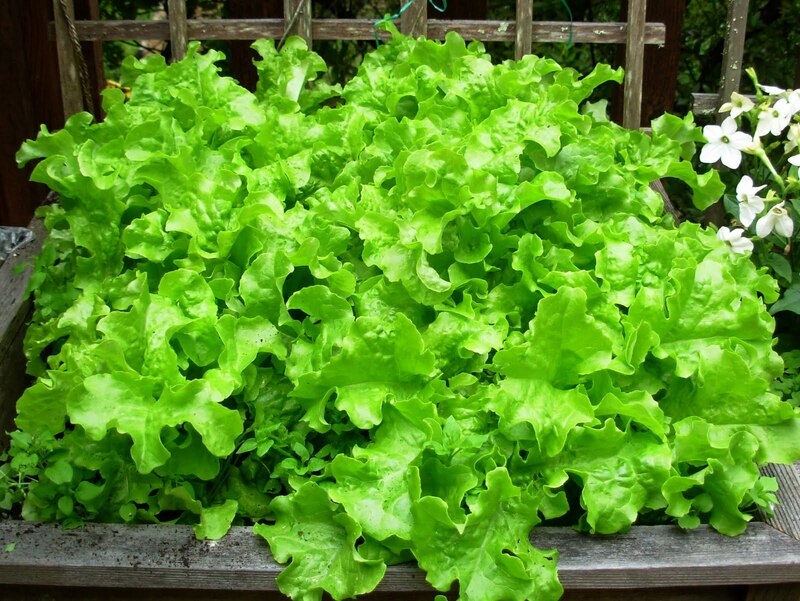 To avoid having a glut of lettuce and to ensure that crops are regularly coming into harvest, make successive, smaller sowings of lettuce seeds, at 1 or 2 week intervals depending on how much you intend on using. Depending on the variety it can take any time between 6 and 14 weeks from sowings to become ready for harvest, so if you are growing from packet seeds - always read the label. Once the lettuce seedlings get to about 2 inches high they can be thinned out to leave a gap of about 6 to 12 inches between each plant - depending on the overall size of the variety grown. If you are planning on transplanting seedlings grown indoors into open ground then this is an ideal size to do this.